You might think you have more bills than you know how to deal with, but the reality might be that you just don’t know how to deal with your bills. While bills can be overwhelming, you don’t need to feel like you’re drowning in them. 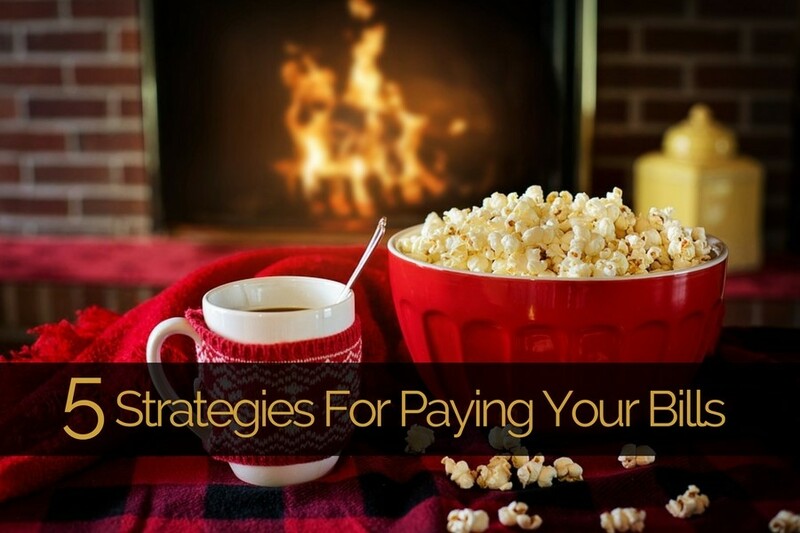 By following these five simple strategies, you can pay your bills in ways that are time and cost-effective. If you find that some bills are due too close to one another for your liking, call the companies and ask if you can have the due dates adjusted. If you have a stable enough bank account but feel bogged down by having to stay on top of your bills, you might want to consider autopay. Here, you simply link your bank account with your individual billing accounts and have the money deducted on the due date. While this does simplify things in some regards, those with autopay have new responsibilities to exercise. You will need to pay especially close attention to your bank account, otherwise, you might be caught off guard by deductions made by autopay. Unless you have near-unlimited funds at your disposal, it’s wise to limit autopay to no more than three bills. You might just think about how you need to pay power bills or make payments on your car. However, you might have various bills that have snuck up on you. These include things like website memberships or magazine subscriptions. Since many of these things are billed automatically, you might not even remember you’re being charged for them. Be sure to look over your checking account and credit card activity and see what charges you’re incurring for these types of services. If you’re spending a notable amount, take the time to consider if any of them would be sacrificable. Any service that you are paying for but not actively using should be suspended. You should prioritize your bills in two ways. First, you should prioritize whichever bills you feel are most important. (as we discussed earlier) Second, you should prioritize your bills over everything else. As far as your money is concerned, the most financially responsible thing to do is pay your bills with it right away. When you receive your paycheck, you should check which bills you can pay. Make sure that you leave yourself money for other expenses, such as groceries, gas and your own personal enjoyment. Sometimes, life gets overwhelming and we need help. If you find yourself in a financial bind and bills are piling up, don’t despair. Get in contact with the billing departments and explain your situation. Ask if you can get on a payment plan until your financial situation is sorted out. Just be sure to do this before your bills are due, not after. You can also try asking for help from your friends and family members. There’s no reason to let bills get the best of you.